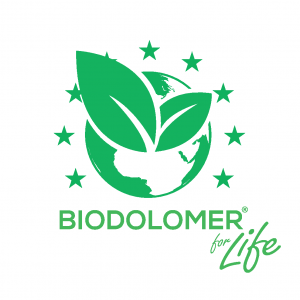 Biodolomer for LIFE Project was invited to Industry Days by the EU Commission. 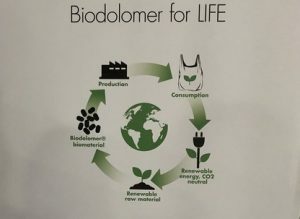 Biodolomer for LIFE Project was represented by Åke Rosén and Jan Boberg from GAIA Biomaterials and Eva Stål from Öresundskraft energy company/NSR waste company. The project was exposed to 1500 delegates and there was high interest in understanding how bio-based plastics can substitute fossil-based plastics. We got many new contacts which hopefully will lead to future business. EU Industry Days 2019 focused on key industrial challenges such as sustainability, digitalisation, investment and globalisation. The event, on 5-6 February, demonstrated how EU industrial policy benefits European citizens and provide input for future policy making. EU Industry Days gathered around 1,500 participants from across Europe and beyond, including stakeholders representing industry, trade unions, national and regional authorities, and civil society. More than 30 projects funded by the European Union showcased their innovation in the Grand Hall at The Egg during the Industry Days event. 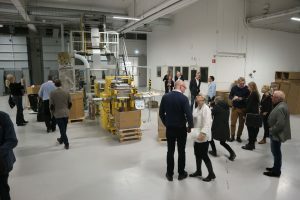 GAIA Biomaterials invited the media, both local media but also national special magazine and partners to a breakfast where CEO Peter Stenström and founder Åke Rosén presented the new factory and how far the development of the biobased plastic Biodolomer has come. Among the speakers were Kim Olsson, CEO NSR and Anders Östlund, CEO Öresundskraft, the two partners in the Biodolomer for LIFE project. Anders stated that in 10 years Öresundskraft will not burn fossil plastics to produce energy anymore. 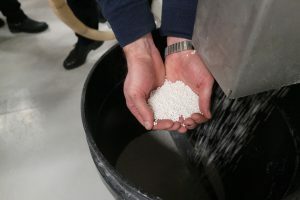 The goal is to produce energy from renewable sources like biobased plastics. That is why Öresundskraft has taken the role of Coordinating Beneficiary in the Project. The response from media was very positive.